Santa Barbara Dance Center July 1, 2013 | The New York Baroque Dance Co.
Open to all inquisitive minds and bodies. After learning the primary steps from which the more complicated dance vocabulary emerges, students will learn the first figure of the Royal Ann, a triple metered couple dance choreographed by Mr. Isaac in honor of Queen Anne’s birthday in 1712. Queen Anne’s Lace, the wild flower, was supposedly named after this queen. When working on her lace, Anne pricked her finger and a red drop of blood stained the middle of the lace work. 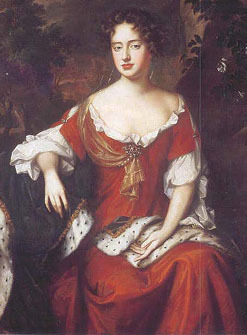 Ode for the Birthday of Queen Anne, written by George Frederick Handel, was dedicated to her,celebrating the end of the War of the Spanish Succession with the Treaty of Utrecht (1712) negotiated by the Tory ministry of Anne. Taught by Catherine Turocy, Artistic Director of the New York Baroque Dance Company, along with students from the Santa Barbara Historical Dance Workshop. 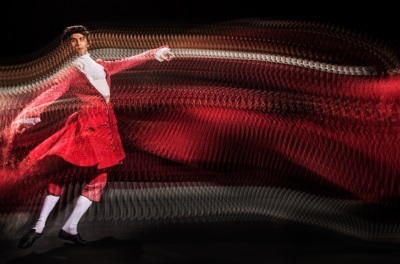 Baroque Dance, Old and New: This lecture/demonstration in period costume looks at the process of reviving original Baroque dance notations for performance as well as building on this knowledge to create contemporary works. Members of the New York Baroque Dance Company, Justin Coates, Sarah Edgar, Olsi Gjeci and Catherine Turocy will perform social and theatrical dances of the period with guest dancer from Paris, Bruno Benne. Choreographers Sarah Edgar and Bruno Benne will talk about and demonstrate their own contemporary choreography influenced by the Baroque. Carrie Diamond, a choreographer as well as a student with us last year, will join the discussion and present her most recent trio, Jumble.